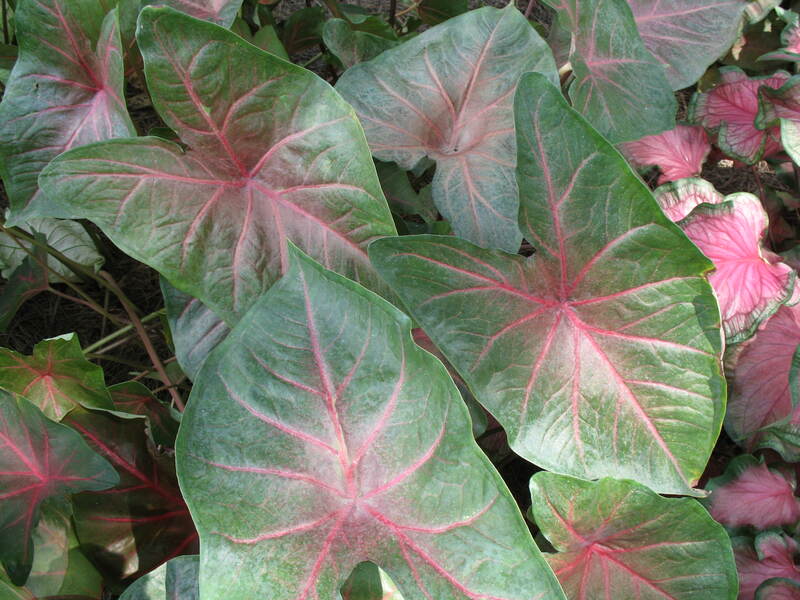 Comments: Caladiums grow best in partial sunlight, with protection from the hot noonday sunlight, although there are new ones that tolerate more sunlight. Plant outside after night temperature reaches and average of 60 F. Tubers may be lifted, dried, and stored during the winter in a cool, dry room and replanted the following spring. Second year tubers are normally one size smaller.